That’s where we seek completion and find fulfillment. We at Vagabond Writers got lucky. We didn’t just find one path – we found four. Hopefully, they’ll not only make you laugh, groan or shake your head in disbelief but will also give you a new perspective about what life on the road and in the world’s many different corners is like. On the portfolio page this site will showcase the writing work of promising freelancers and offer clients an overview of who we all are, what we’re capable of, where we’ve been and how to hire us. Already like what you see? Then get in touch! What words? All words, without bias or preference. We’re neither religious nor dogmatic. Instead, we believe the more people know and understand the more they can accomplish. For, as they say, ‘give somebody a fish and you feed them for a day. Teach them how to fish and you feed them for a lifetime.’ So what happens when you teach them how to learn? Then you don’t just feed their bodies, you feed their minds. Our technologies, communities, and awareness are transforming from the local to the global. In the process, our world and our identities are becoming more fluid. Raise your fist or open your arms. For us it was easy. We heeded the call of the wide open road. With our laptops under our arms and our possessions on our backs, we’ve ventured forth. We became travelancers of the world and pioneers along a virtual frontier. What we found out beyond our doorstep inspired and shocked us in equal measure. The places, people, and connections were breathtaking. The inequalities, misunderstandings, and lost opportunities were heart-breaking. So many segregate themselves, fear each other and are consumed by loneliness; and that while we can be so much more together than apart. To the closed mind, ‘difference’ is synonymous with ‘conflict’. To the open mind it equals ‘opportunity’. All we needed to do was help others embrace them. And so Vagabond Writers was born. Welcome! We all search for meaning. That’s where we seek completion and find fulfillment. We at Vagabond Writers got lucky. We didn’t just find one path – we found four. We want to give you the tools to make your life on the road better. We’ll tell stories about how it is to be a digital and physical nomad. We will connect those who need the written word with those who provide it. And last but not least, we will spread the words – so that everybody has a fair shot at finding their own path and getting ahead in this modern world. Want to know how we came upon these four missions? We’ll explain that a little further down. So stick around! 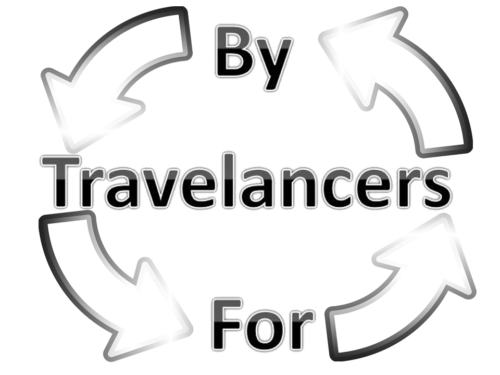 To connect clients and freelancers. For us it was easy. We heeded the call of the wide open road. With our laptops under our arms and our possessions on our backs, we’ve ventured forth. We became travelancers of the world and pioneers along a virtual frontier. All we needed to do was help others embrace them. And so Vagabond Writers was born.